Attorney Walsh graduated from Boston College and earned her Juris Doctorate at Suffolk University Law School while she worked full-time at McGrath & Kane. At Suffolk Law, Attorney Walsh was awarded with the distinguished oral advocacy award and was named on the Dean’s List. Prior to becoming an associate at McGrath & Kane, Attorney Walsh was a senior paralegal for many years, which position provided her with extensive experience and a foundation for her role as an associate attorney. She worked closely with lead counsel on numerous complex divorce matters and attended several trials. Attorney Walsh’s practice focuses on complex family law matters including divorce actions, custody disputes, paternity actions, contempt actions, modifications, removals, and appellate matters. In addition, Attorney Walsh is a Certified Family Law Mediator. Attorney Walsh serves as a mentor to first year law students at Suffolk Law. In addition, she volunteers in the Lawyer for the Day Program at the Middlesex and Norfolk Probate & Family Courts. 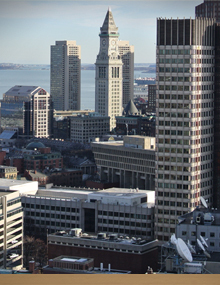 Attorney Walsh is a member of Massachusetts Bar Association, Boston Bar Association, and American Bar Association.